Apple Inn Just opened in Feb2014. We offer private en-suite, female-only & mixed dorms for everyone. Our rooms are clean, modern, & comfortable. We have en-suite & dorms designed for long stay guests. We are helpful, and glad to provide information on local business & travel. We offer free WiFi, & free local telephone calls. And we provide free clothes washing & drying before 7pm. 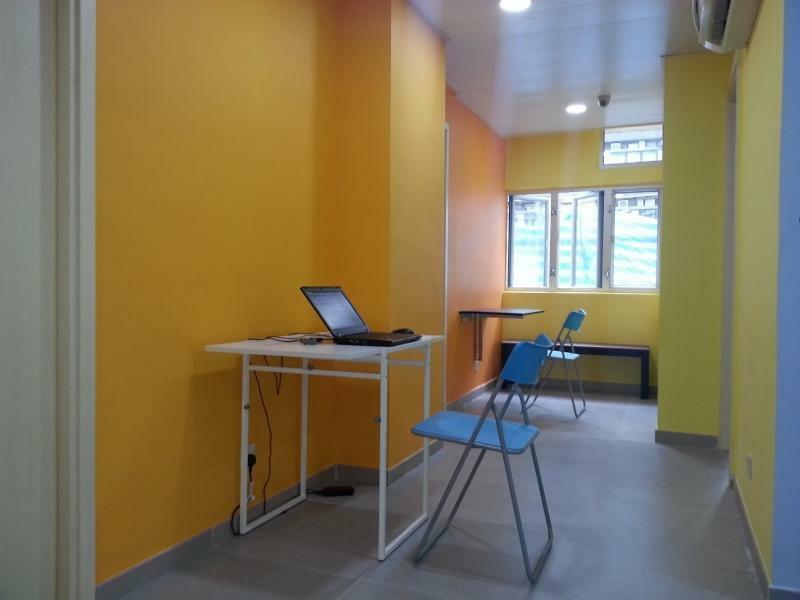 The hostel has been newly decorated in Jan 2014. 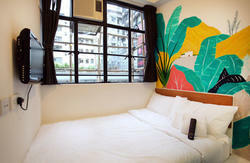 Apple Inn offers private 4-bed en-suite, 4-bed and 6-bed shared dormitories with modern, comfortable, and clean rooms. Facilities & Services: Free and unlimited Wireless broadband (WiFi), Shower & toilet, Individual lockers in dorm, Telephone (free local calls), Air-conditioning, and windows, 24 hour CCTV security monitoring system, 24 hours access & entries, Refrigerator, Bed linen is included, Serviced studios designed for long stay guests. A. Take Airport Express to Hong Kong Subway Station, then change to MTR (HK Subway) Tsuen Wan Line towards Tsuen Wan direction, take off at Mong Kok Station with Exit E1. Around 60 minutes for the whole journey and will cost HK$100. B. Take Airport Shuttle Bus No. 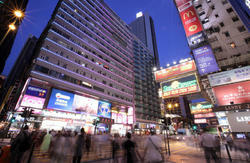 A21, get off at Sino Center stop (信和中心). Around 60 minutes for the while journey and will cost HK$40.